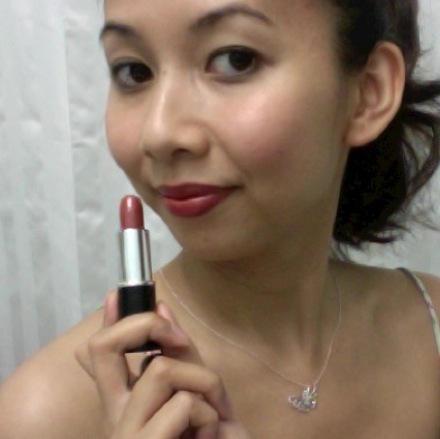 When choosing red lipsticks I usually gravitate towards the deep, dark reds or the bright reds. I saw Lancome’s Sugared Maple lipstick on a friend of mine (she’s Irish with beautiful pale skin, dark green eyes and dark hair with subtle warm tints) and I’ve always how the color will look on me. The colour has a warm undertone that is subtle, a good red color to wear to work. It is luscious and creamy with a nice sheen. Since I am darker it stood out a lot less on me compared to my friend. She usually wore one layer and I did about three. I think that it is a pretty colour and will work for anyone who looks good in warm shades. The weather is gorgeous this weekend! After a long restful sleep, T and I finally decided to check out the newly opened Five Guys Burgers in downtown Toronto. The burgers were great and I loved the option of getting unlimited toppings for free! Ok so back to the outfit. 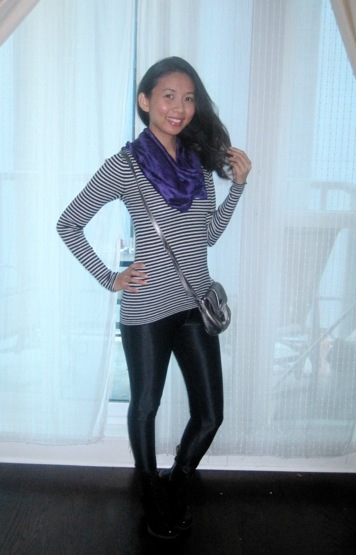 I am wearing a long sleeved striped top from Club Monaco, Leggings from American Apparel, Doc Martens short lace up boots, a silk violet scarf and a silver pebbled leather cross body purse from Michael Kors. 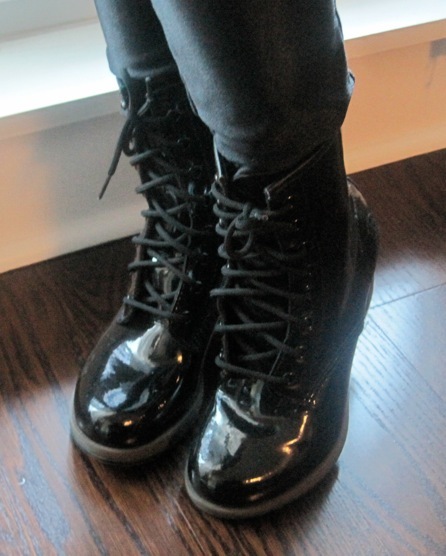 I think that the DM boots are one the favourite shoes that I own. I can wear it with anything and the patent leather skin gives it a dressier feel. As for the leggings, to wear or not to wear to work? I think that it depends on the dress code. If it is business casual or smart casual leggings are fine just as long as the derriere is fully covered. Anything that draws obvious attention to that area in the work place is in bad taste. The same goes for obvious cleavage. It just does not work in a corporate, professional environment. 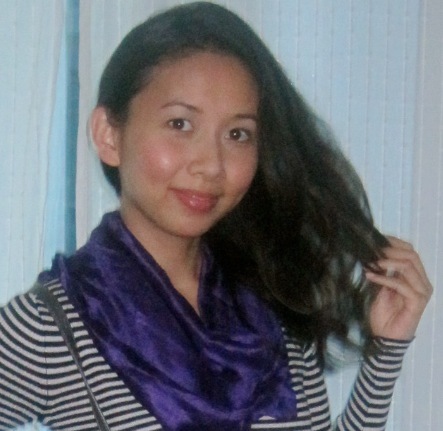 Wear it with a nice silky top and blazer or a tunic and heels. Tres chic.